We invite you to join SE 2017, taking place in Kiev, October 27-29. SE is one of the biggest Ukrainian IT conferences created for developers, entrepreneurs, tech-projects, and the startup community. The 2017 edition will be divided into six sections: Mobile Dev, Artificial Intelligence, Design, VR/AR & Game, Cyber Security, and StartUp. 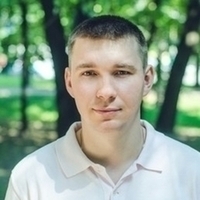 The event will feature several talks, inluding one from Andrii Soldatenko, a Toptal developer. Andrii will give a talk on October 28th entitled “How do elephants survive in large data environments?” during which you’ll go on a trip to one of the exciting parts of the PostgreSQL database. Andrii will show you the benchmarks for a complete iTunes database with more than 2.3 million applications and a variety of ranking strategies.